The right technologies allow SMBs to narrow the marketing gap. SMBs look for marketing systems that are flexible, that take advantage of the latest technology innovations, and that deliver value for their budget. More and more businesses are taking a “stack” approach that layers diverse cloud marketing tools to create a one-of-a-kind solution. The best way to plan a future-proof marketing strategy is to create a custom mix of tools and services that reach your customers where they live, work, and play. A recent survey of SMBs by email marketer Campaign Manager found that 82 percent of the businesses “stack” the marketing services of multiple cloud providers rather than relying on a single marketing partner. Most telling was the finding that 95 percent of the companies participating in the survey believe the best-of-breed approach to marketing provides greater value than relying on any single marketing partner. 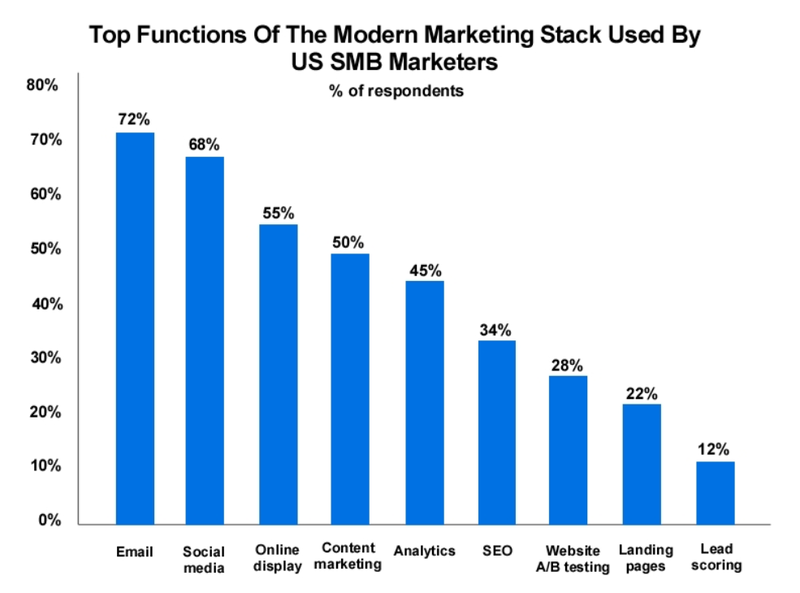 Marketers are adapting to this trend by focusing on slices of the stack and putting their efforts into single-point solutions that their SMB customers can combine with other offerings. Any marketing strategy begins by having an infrastructure in place to support your analytics and content. Once the foundation is complete, you can choose the channels you will concentrate on for your marketing efforts, whether paid (pay-per-click and display), earned (SEO and social), or owned (blog and creative). At the bottom of the stack is the infrastructure, which can be as simple as a site that’s easy to navigate and has fast-loading pages. Likewise, analytics is often the free Google Analytics, which is powerful yet easy to set up. When it comes to content, don’t skimp on quality because Google and other search engines reward content that is clear, complete, and easy to read. Of course, that’s the kind of content your visitors will appreciate as well. 1. When you’ve got high-quality content to promote, don’t be shy about spending a few hundred dollars to get it the exposure it deserves. 2. Once you’ve captured your audience’s attention, engage them via social media, and reply to their blog comments and online inquiries. 3. Keep in touch with customers by sending a simple email newsletter – at least monthly if not weekly – that includes links to information they’ll find useful. 4. Look for opportunities to post on other blogs and online communities, such as Quora and industry-specific forums. 5. Take advantage of retargeting, which generally has lower cost-per-click than Google AdWords and other PPC systems. 1. Analytics and tracking: Adobe Analytics is a potential alternative to Google Analytics. 2. Tag management: In addition to Google Tag Manager, there are Adobe DTM, Tealium, Signal, and Ensighten. 3. Marketing automation: Among the options are HubSpot, Infusionsoft, and Act-On. 4. Customer relationship management: Alternatives to Salesforce include SugarCRM, Nimble, HubSpot Sidekick, and KarmaCRM. 5. Data management platform: Also known as a data warehouse, Adobe, Krux, Lotame, Aggregate Knowledge, and BlueKai are top vendors in this category. 6. Content delivery network: Akamai is the undisputed leader in providing services that put your content closer to the network edge. 7. Conversion optimization: Optimizely is the best choice for A/B testing your pages, while WordStream’s Landing Page Grader and Ion Interactive make it simple to create marketing apps. 8. Campaign management: Leaders in this category include Integrate, Ensighten, Pardot, Adobe Campaign, and Accomplice. 9. Email marketing: Constant Contact, Exact Target, Emfluence, and MailChimp are all good choices for managing your email contact with customers. 10. Mobile optimization: Either ensures your site is easy to read on mobile devices or creates a separate site specifically for viewing on phones and tablets. 11. Advertising networks: Most small businesses use Google AdWords, Google Retargeting, or DoubleClick, as well as Facebook ad campaigns. 12. Remarketing: These after-market ads are bought on a pay-per-click basis via Google AdWords, AdRoll, and Perfect Audience. 13. Search engine marketing: The “big marketing enchilada,” as Wright puts it, encompasses everything from search engine optimization to paid search ads; in addition to Google AdWords and Analytics, you might consider WordStream, gShiftLabs, and BrightEdge. A service you should consider for all your cloud application management needs is Morpheus, which has Bitcan baked right into the product. Morpheus includes an intuitive dashboard for provisioning databases, applications, and app stack components in just seconds – whether on-premises, or in private, public, or hybrid clouds. You can add nodes via the web interface, CLI, or API calls, and Morpheus automatically configures the affected database or app cluster. For all the IT systems you provision, Morpheus automatically creates system, database, and application logs that let you analyze and troubleshoot the systems quickly and simply. All new database and app components are backed up automatically at the time, frequency, and location (on-premise or cloud) of your choice. 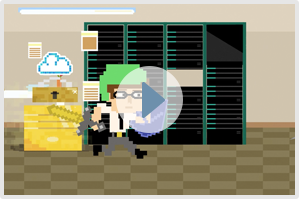 Morpheus helps businesses of all sizes plan, implement, and manage their cloud projects.